He fell in love instantly and kept eating them while taking them out, which was fine since there are plenty. 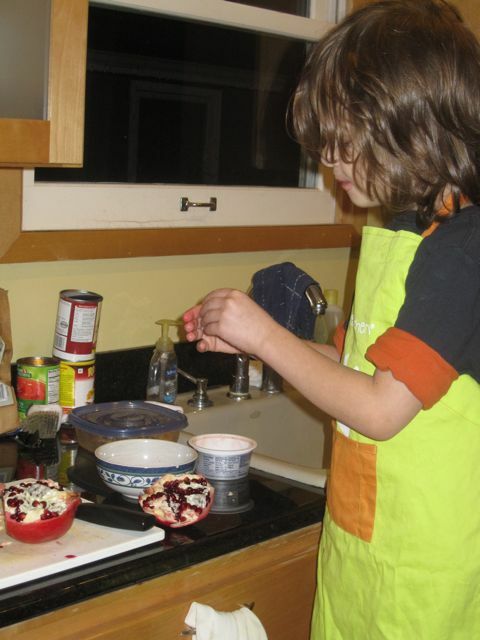 He stuck it out through the entire pomegranate and his hands, arms and entire face were covered in pomegranate juice specks and splotches by the time we were done. Despite loving them greatly, he struggles to remember what they're called. All while we were removing the arils he kept calling them polygrams. 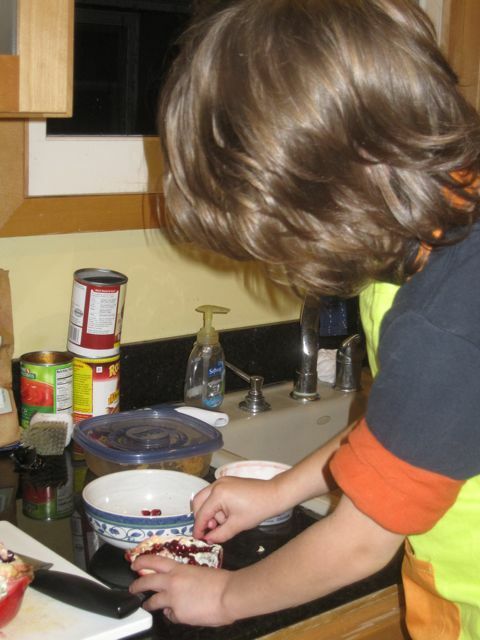 But by the time dinner rolled around they'd turned into garbanzo seeds. It may not look it in the bad lighting of the picture here, but this is probably one of the most aesthetically pleasing dishes I've ever made. If you want a salad that will look stunning, this is the one to go with. 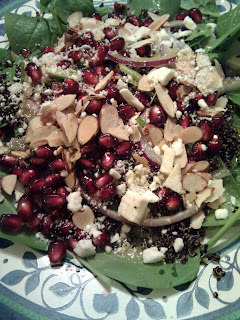 Spinach, black quinoa (hard to find, but I got lucky and a store nearby just started carrying it in their bulk section in the last week or two), pomegranate arils, toasted almonds, red onion and feta cheese. The dressing is a basic red wine vinaigrette. I was very pleased when it tasted as delicious as it looks. 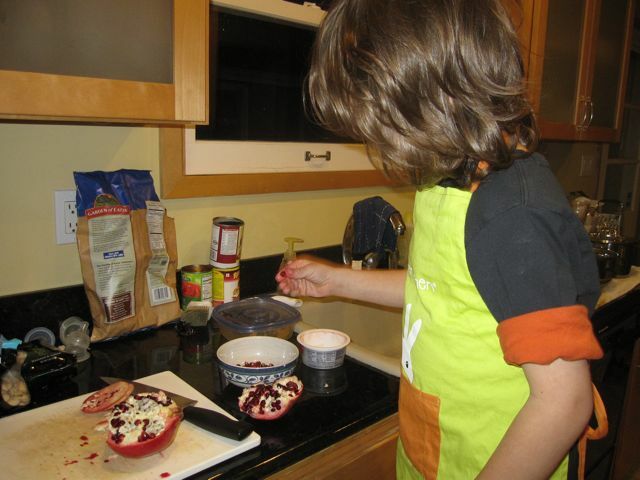 How fun to be introduced to pomegranates at such a young age! I first learned about them in elementary school when a friend brought one in her lunch! I LOVE pomegranates! My sister-in-law taught me a cool trick over Thanksgiving while I was picking the arils out with a spoon...if you open the fruit and put it in water while you're taking the arils out, the arils will sink and the skin will float, so it's really easy and MUCH quicker to get to the good stuff! !